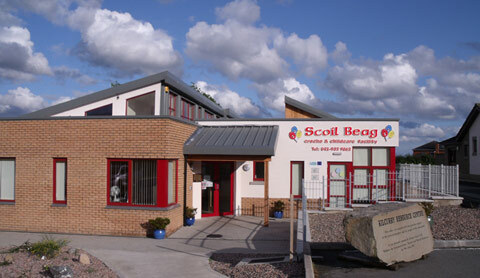 Welcome to Scoil Beag Crèche and Childcare Facility, Kilcurry, Dundalk. A little more about us……..
We have an open door policy where the parents can pop in at any time of the day. Our parents have direct access to their child’s room with a security code. 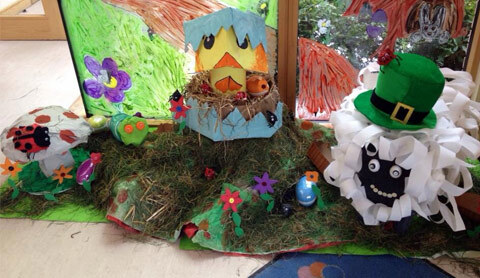 We have a state of the art purpose built service which is compliant with Pre-School Regulations. We have CCTV footage throughout the building. We have a fabulous child friendly outdoor area. All food is freshly prepared and cooked on site daily. 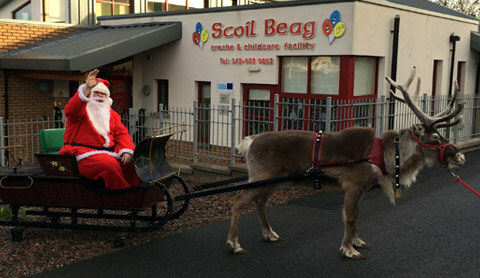 At Scoil Beag we provide a play based curriculum and we work under the Síolta framework for Early Childhood Education. We have qualified/experienced staff to enhance the development of each individual child.